The Law Offices of Michael B. Brehne, P.A. 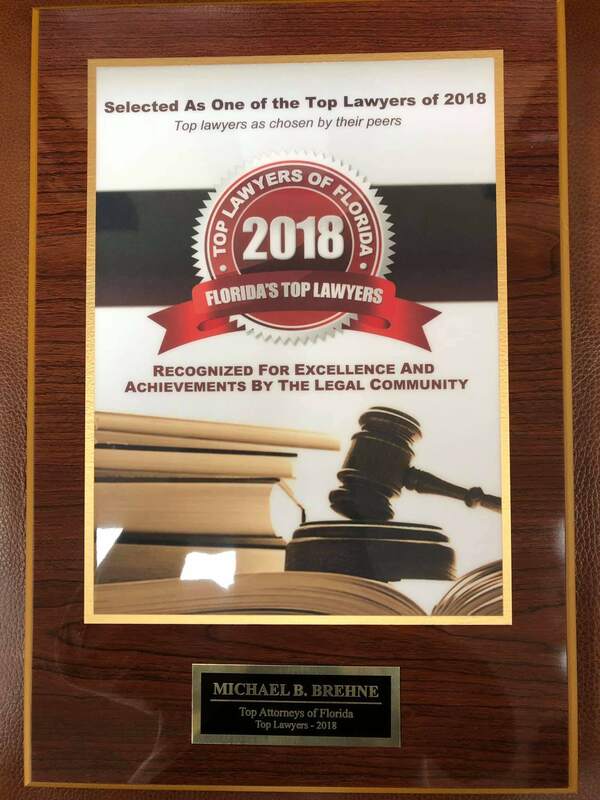 is proud to announce that the firm’s very own Michael B. Brehne has been named to Top Lawyers of 2018 in Florida. 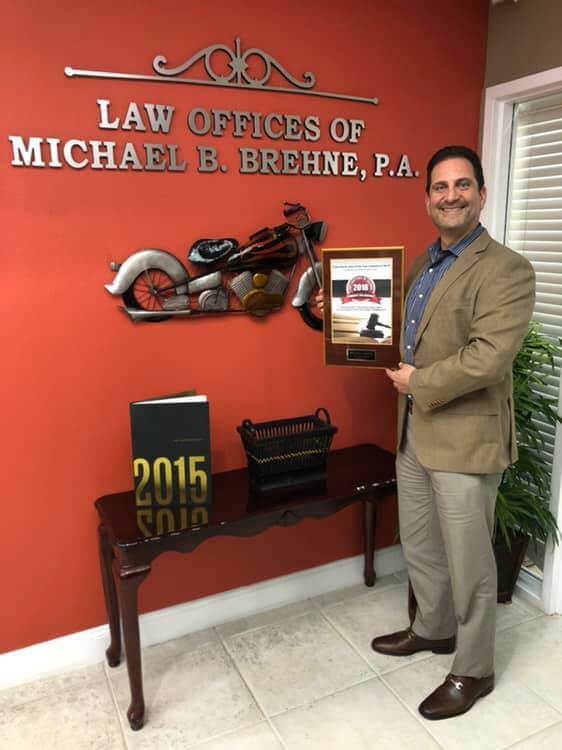 Also a leading Orlando motorcycle accident lawyer with 911 Biker Law, Michael successfully advocates for clients rights in the Orlando and Altamonte Springs area. Appointed by peers within the legal community, the Top Lawyers Of 2018 in Florida outlines a “recognition for excellence and achievements.” This is just one more honor the Orlando motorcycle accident and personal injury attorney has received. With a fierce dedication to upholding the law and seeking justice for clients, Michael has also previously been awarded recognition and named as a Mercer Law Review Member, Mercer Moot Court National Competitor and Mercer Academic Scholarship Winner. For more than 16 years, Michael has served as a civil justice attorney who aggressively defends clients and relentlessly fights for maximum recoveries for rightful clients.